UPDATE 3/20/2019: The v2.3b demo is now available! This ~2 hour demo includes a ton of QoL changes, graphics updates, and more. Have feedback? Found a bug? Want to see what I'm up to? Join the official discord! It was originally created for the IGMC 2017 contest, but what was supposed to be a small game turned out to become the introduction to an epic RPG. You can follow the game's progress here, as well as on Facebook, Instagram and Twitter! This game is in active development and will continue to receive periodic updates. It is free throughout its development cycle, until it becomes approximately 50-75% complete. From there, demos will be available to project contributors, until the game eventually becomes complete! I look forward to completing this project and hearing everyone's feedback! Fast-paced “Action Timed Battle” system that relies on strong decision making. No random encounters! You get to choose your own battles. 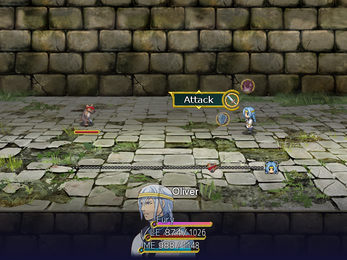 Multiple party members with individual combat styles. Various dungeons, caves, and towns to explore with unique puzzles and characters. Various side-quests with special rewards. Crafting / Extraction / Enchantment system for weapons, equipment, and items. Dynamic lighting and weather to create an immersive world. Over a century ago, a horrific, apocalyptic event known as the Great Cataclysm threatened to wipe out the world of Astravia. Upon the brink of destruction, two heroes used their magical prowess to stop it, then vanished--overwhelmed by the strength needed to stop the apocalypse. The people of Astravia hailed their sacrifice. However, the world's salvation was not enough to save it from discourse. At the brink of extinction, tensions grew between the sister kingdoms of Valica and Anatas. An imbalance of power between the knights of Valica and mysticians of Anatas erupted. A war ensued, and countless deaths could not be prevented. Years passed and this this war eventually ended, and the two kingdoms formed a reluctant treaty. For a short while it seemed Astravia would see peace. (Only if you downloaded the game prior to 4/3/19 )Moving the cursor very quickly in battle will cause the icons to "desync" from the commands in the ring menu. 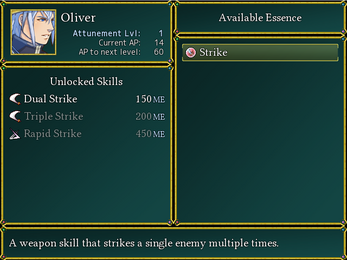 (Only if you downloaded the game prior to 3/23/19) Baldric's Awakening does not appropriately spend the Fury, so it can be used at no cost. Using an awakening after previously having been poisoned will display the poison animation briefly. In this chat server I'll be providing periodic updates and musings about the development process. You can directly talk to me about the game and provide feedback, get to know other contributors or fans of the project, or just hang out and chat! "Legends of Astravia", and its story, characters, and themes within are © Studio Alemni LLC. Borrowed assets, scripts, and game engine components are property of their respected owners, and are used and modified with their permission. This information is detailed in the "Credits" documentation provided with the game. Any asset, script, or component not detailed in the "Credits" documentation is created by and thus property of Studio Alemni LLC.